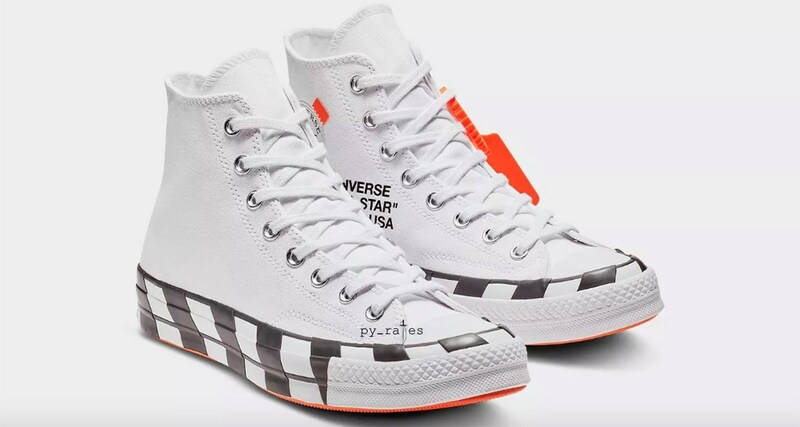 Another Off-White collaboration between Virgil Abloh and Converse, particularly the Chuck 70 is about to drop real soon. This one has a more urban look with the white upper of the Converse which is somewhat more appropriate for casual wearing. If you remember, the last collaboration of the Off-White and Chuck 70 is made up of a transparent material which is more edgy compared to these. However, this one looks better, as it stay closer to the OG materials. 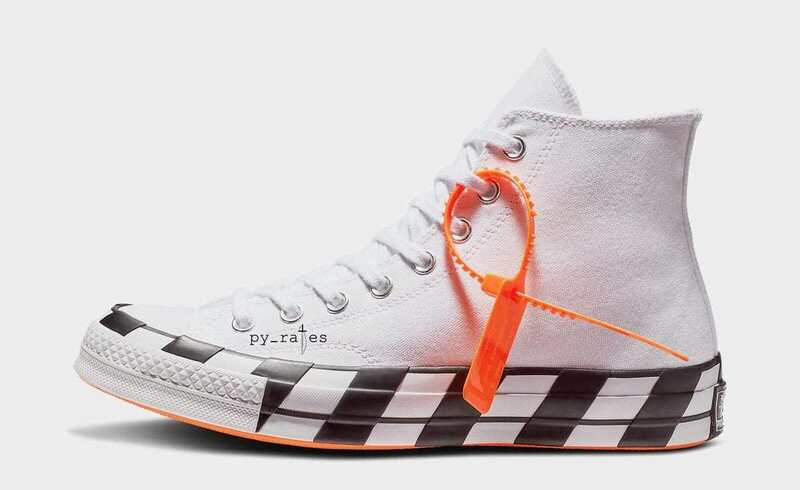 The black stripes in the midsole is just perfect with this theme of high-end urban wear with the orange zip tie is still present in the lacing area. A small orange tag can be seen on the medial side of the shoe as well as some texts that writes Converse, All-Star, USA of some sorts. 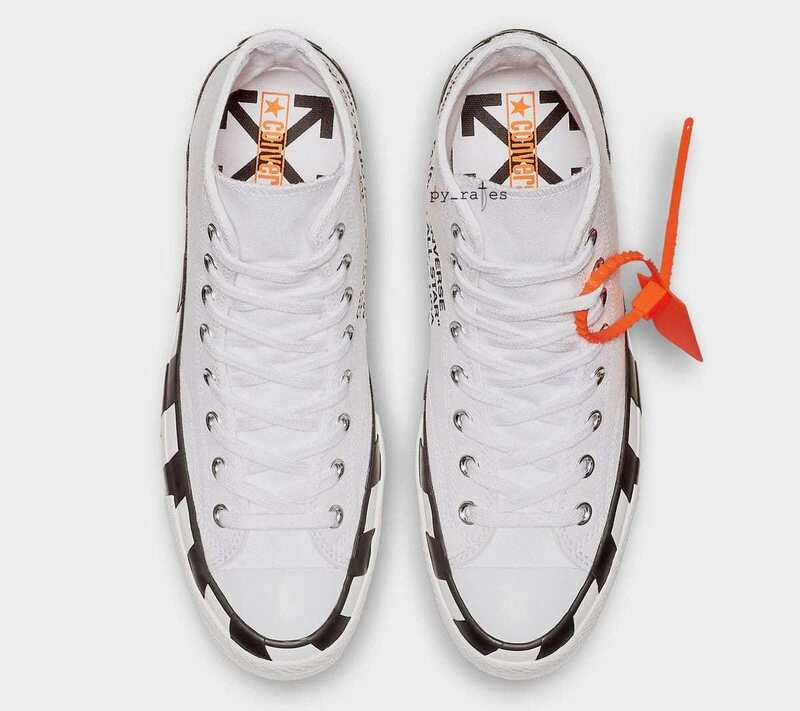 Inside the insole are the collaborative brandings of both Off-White and Converse and the outsole is in orange as well. Rumor has it that they are scheduled for October 8 release, however there hasn't any official word yet from both brands.